Looking to avoid traffic around the Fair Park? Choose from one of these great options below to save the hassle. Public transit and shuttle services operate for both Milwaukee and Waukesha counties. Private shuttles are more than welcome but are recommended to coordinate with State Fair in advance. See the Bus Groups section below for more information. Head to the Fair on the Waukesha County Shuttle with pick-ups and drop-offs from three convenient locations along I-94. 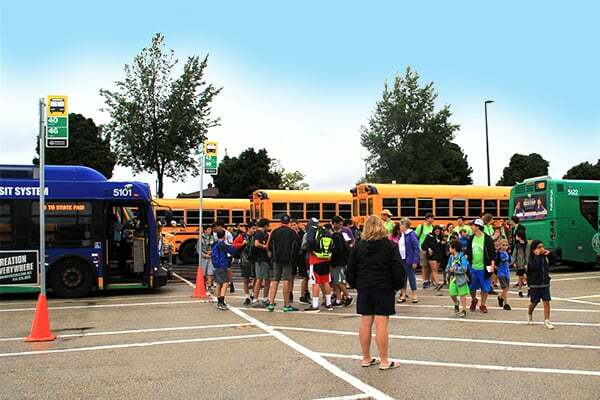 Goerke’s Corners in Brookfield (I-94/Hwy 18 Park-Ride Lot at Barker Road) – first departure at 7:25 am, with departures every 30 minutes until the last departure at 7:55 pm. Nagawaukee Park-Ride Lot in Delafield (I-94 & Hwy 83) – first departure at 7:30 am and depart every 30 minutes until 7:30 pm. Meadowbrook Park-Ride Lot in Pewaukee (I-94 & Hwy G) – first departure at 7:40 am and depart every 30 minutes until 7:40 pm. The shuttle drops off at the State Fair Transit Welcome Center at Gate 4 with return trips every 30 minutes at the top of the hour and on the :30’s. Parking is FREE at each location. Regular round-trip fare is $8. Seniors (65+) and children (6-11) are $6. Children 5 years and under and strollers are FREE. For schedules and more details visit statefairshuttle.com. We make it easy to bring your bus group to State Fair! Contact the Group Sales Department in order to plan your trip and order discounted tickets. Bus groups will receive $6 admission through June 30, regardless of the size of your group. And don’t forget any of our Fair favorites! When arranged in advance, bus groups can enjoy FREE bus parking and FREE admission for the bus driver. 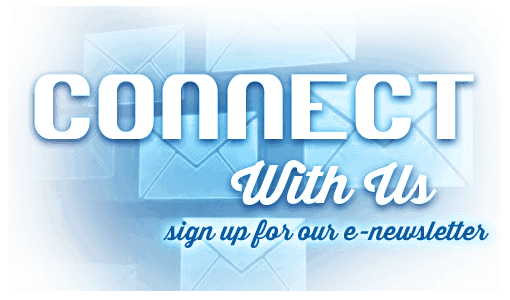 We will also send Daily Schedules and Fair Trivia for your group to enjoy on the way to State Fair. Bus groups enter through the State Fair Transit Welcome Center at Gate 4 along S. 84th Street. Contact the Group Sales Department to plan your trip and to order your discounted admission tickets via email at groupsales@wistatefair.com or via phone at 414.266.7028. The shuttle will serve the Watertown Plank Park-Ride Lot (Watertown Plank Road, west of I-41/US 45) and will run daily to the State Fair Transit Welcome Center at Gate 4 along S. 84th Street. Shuttles from Watertown Plank Road Park-Ride Lot run approximately every 15 minutes. Service begins at 7:30 am until one half-hour after Fair closes. Parking is FREE. Shuttle fare is $3 cash round trip for adults or $2.50 using an MCTS M*CARD with Stored Cash Value. Children (6-11), seniors (65+) and persons with disabilities with proper ID pay $1.50 cash or $1.25 in Stored Cash Value with an MCTS M*CARD. Exact fare required. Look for the Cream Puff Line with special daily local service between Downtown Milwaukee and Gate 4. Local service to State Fair Park is also available on Routes 56 (Greenfield Ave.), 67 (N. 76th – S. 84th) and 76 (N. 60th – S. 70th). Regular bus fares apply. Visit RideMCTS.com to view bus schedules. For information on MCTS transportation to Summerfest and other festivals from the State Fair Park-Ride Lot please click here. During the State Fair, Freeway Flyers at designated Park-Ride Lots operate between 7:30 am until one half-hour after the Fair closes. Service is approximately every half-hour and goes directly to the State Fair Transit Welcome Center at Gate 4. Park for free at any of the following Park-Ride Lots: Brown Deer Road west of I-43; College Ave. at I-94 (North and South lots); Whitnall/Hales Corners at I-43 east of S. 108th St.; Loomis at Loomis Rd., south of Coldspring Rd. Flyer fare is $7 round trip for adults, $3 for children (6-11), seniors (65+) and persons with disabilities with proper ID. Exact fare required. With Stored Value on an MCTS M*CARD, round-trip freeway flyer fare is $5 for adults and $3 for children (6-11), seniors (65+) and persons with disabilities with proper ID.